As mentioned in a previous article, gifts of fine teas can expand the giftee’s knowledge of tea as well as their tea horizons. So your selection of the perfect teas to include in that gift basket is of paramount importance. Here, therefore, I present my recommendation of five great teas that will do both. This is the rarest Lapsang Souchong black tea in the world and must be picked before “Tomb-sweeping Day” from a rare and primitive species of wild tea growing on mountains in the National Natural Conservation Area of Wuyi Mountain at an attitude of 1500-1800 meters. It takes a skilled female picker about 29 days to pluck the 58,000 tea buds needed to make 500g finished product. 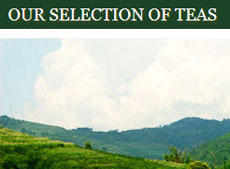 The tea is manufactured with rigid adherence to the traditional hand-made processing technology of bohea lapsang tea. This results in the tea having unique characteristics: tight, slender and gold-yellow to black tea leaves, bright golden tea liquid, mixed aromas of fruit, flower, honey, and potato. 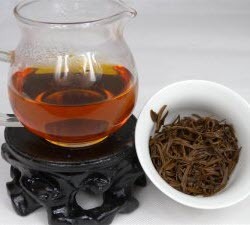 The tea liquid is a bright orange color and has a flavor that is fresh, sweet, delicate and mellow, like ripe fruit or flowers with a long aftertaste. Best steeped in a Gaiwan, Yixing pot, glass cup, or porcelain pot. 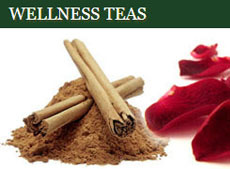 A favorite flavored/scented tea that has been around for centuries. This version is FRESH and made of the finest green tea scented with jasmine. The leaves are rolled into compact “pearl” shapes (thus the name) and greet you with a strong yet pleasant jasmine fragrance that lasts through several steepings. Famed for a floral (orchid) fragrance and long-after sweetness, this tea steeps up a liquid that has a body and thickness that is sought after by tea connoisseurs. 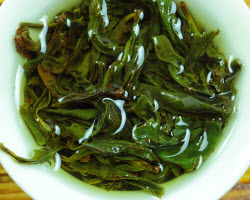 It is a very pleasing and unique lightly roasted Dancong with the best tasting tea liquor and highest aroma compared to other seasons’ harvest; it is stored in the freezer to maintain freshness. 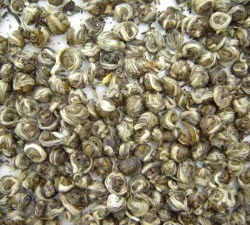 The dry tea consists of two or three half-matured tea leaves in a tight bar shape and dark brown in color. The tea liquid steeps up to a bright golden yellow and has a flavor that is fresh, mellow, thick, and has a unique flower character. 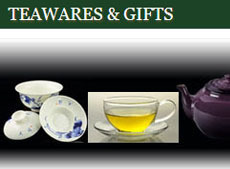 Use purified or mineral water and steep in a Gaiwan (120cc) or Yixing tea pot (120cc). Picked from tea trees in Mengsong mountain where many are over 300 hundred years old. Lagu is one of the three main minorities living in Menghai county where this mountain is located, and this tea comes from one of the tea farmers there(Zha Laoer, a Lagu). The people in this area have been tending tea trees and harvesting tea leaves for over 1,000 years. 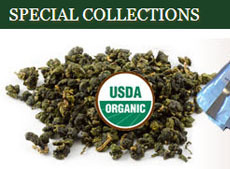 This tea has a very thick tea taste, a profound throat-feeling, and a mouth feel that changes as you sip. The dry leaves have a deep forest aroma. This is an extremely high-end tea that is compressed using a traditional stone method and can be stored long-term in your private collection. It is unfermented and consists of one bud with two leaves in a tight, fat, plump shape. The liquid has a dark yellowish green color and a ripe fruit aroma and honey fragrance. The flavor is floral and sweet with a smooth feel in the mouth and a strong feel in the throat. Steep in a Gaiwan at least 18 times. 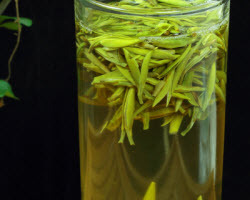 This is the top grade of white tea composed of plump tea buds, is only slightly oxidized, and is named after the needle-like shape of the dry leaves and their silver-like white appearance (due to the conspicuous natural, fine tea hairs). Made from big white Pu Er tea trees, this tea’s sweetness lasts longer than and has a totally different aroma from Fuding silver needle. The aroma is fresh and cleanly floral, and the liquid has a lightly shiny yellow color and a fresh, sweet, mellow, and lightly honeyed taste. Best steeped in a Gaiwan or glass cup. 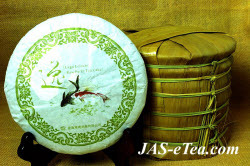 This entry was posted in Holidays and tagged chinese tea, JAS-eTea, tea gift. Bookmark the permalink.